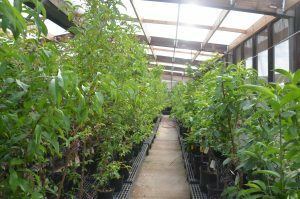 The Tier 2 Committee for Fruit Trees conducts bi-monthly tele-conference meetings and generally meets once a year at one of the clean plant centers or other convenient location. Subcommittees of the NCPN FT conduct important business apart from the regular Tier 2 Committee meetings. One subcommittee is the ad hoc fruit tree industry committee that reviews proposals for funding submitted by NCPN clean plant centers. Members also serve on other NCPN crop- wide committees such as the Education and Outreach Committee and the Strategic Planning Committee.